Of Interest: This historic first orbital image of Mercury was acquired 37 years to the day after Mariner 10�s historic first flyby of the innermost planet. 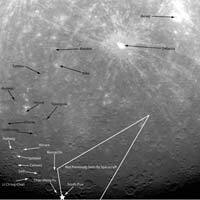 Labels have been added to indicate several craters that were named based on Mariner 10 images, as well as Debussy, Matabei, and Berkel, which were named based on MESSENGER flyby images. The surface contained in the white lines is terrain previously unseen by spacecraft, and the star indicates the location of the south pole. 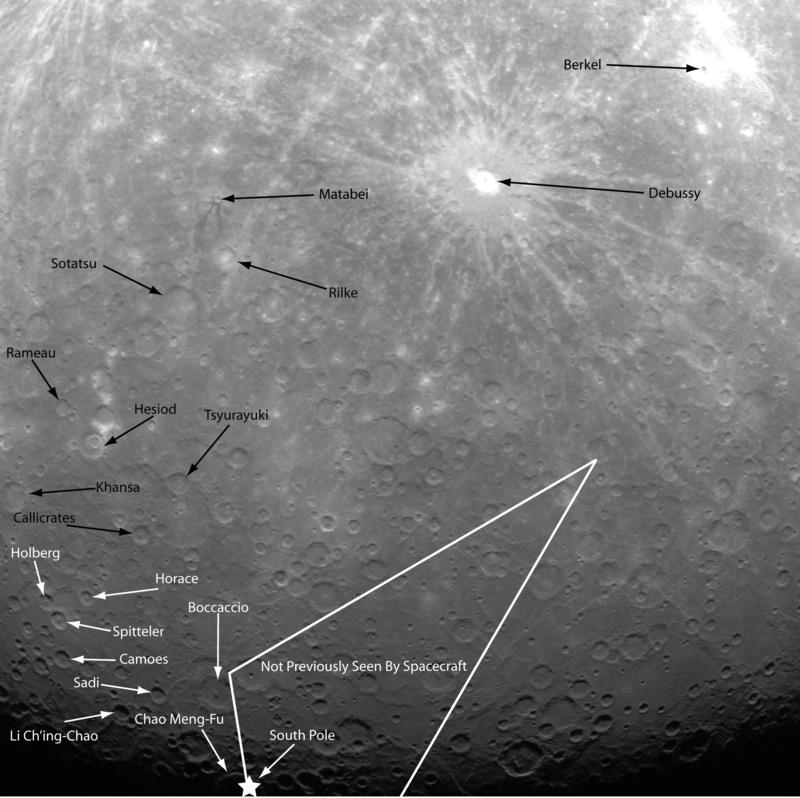 On March 17, 2011 (March 18, 2011, UTC), MESSENGER became the first spacecraft to orbit the planet Mercury. The mission is currently in its commissioning phase, during which spacecraft and instrument performance are verified through a series of specially designed checkout activities. In the course of the one-year primary mission, the spacecraft's seven scientific instruments and radio science investigation will unravel the history and evolution of the Solar System's innermost planet.